Compassionate Dentistry, P.C. | Gentle Compassionate Dentistry For The Whole Family! We would like to welcome you to our new office and invite you to experience the difference in our thoroughness and professionalism. Selecting a dentist is an important and personal decision. My staff and I will work hard to gain your confidence and trust. 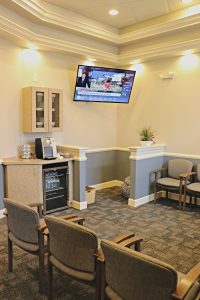 Our goal is to provide you and your family with the highest level of dental care possible in a relaxed, comfortable, and caring atmosphere. We treat your family as if it were our own! 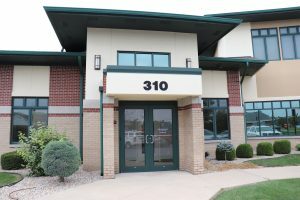 Our facility is state of the art, and we’re proud that our staff remains current on the latest techniques through ongoing continuing dental education. 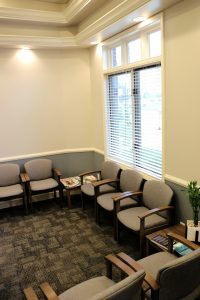 We know that, with proper treatment, patient education and specific individualized home care practices, patients shouldn’t need to expect to have new cavities found at every hygiene appointment. Our goal is to restore our patients to a state of optimum health, then keep them that way without a lot of ongoing treatment. And it works! Our nine staff members average over 20 years of experience in dentistry and medicine each! It’s this experience that makes it possible for us to provide consistent excellence in care to our patients, from the simplest of treatments to the most complex reconstructive and cosmetic make-overs. And, we provide this treatment in the most caring and compassionate way possible. Quite simply, we feel our staff is the best! Click here to go to Academy of General Dentistry Website. For more information about America's leading advocate for oral health go to the American Dental Association.